Welcome to this Winter Edition of Keeping Connected, featuring innovations coming soon to resolve industry challenges, solutions to enhance your productivity and much more. For access to live on-line only articles and developments click here to follow us on Linkedin and Twitter. 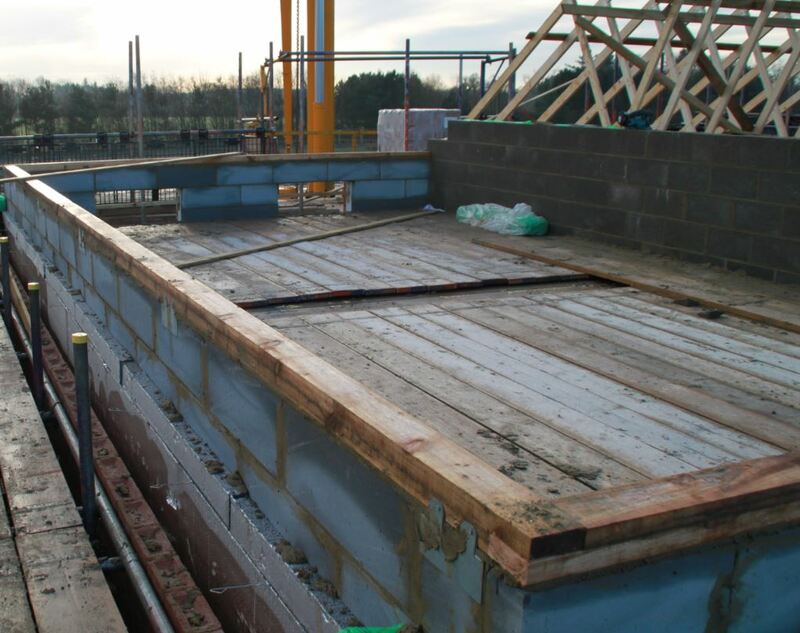 Working in collaboration with industry bodies and leading housebuilders we’ve created a solution for the design and installation of timber gable walls with cold roof voids onto masonry wall construction. Our skilled technical professionals continue to find solutions to construction challenges. Get in touch with our technical team to find the solution to your structural and site problems. Impressed with our software, quality products and professional service we’re delighted to welcome new truss and floor manufacturers to our network of fabricators throughout the UK and Ireland. 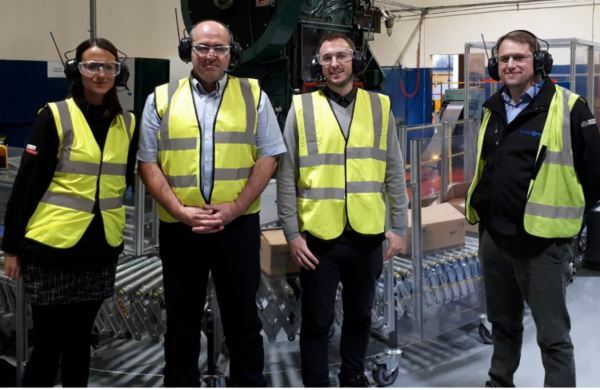 Ian Ferris and Kevin Brake, Directors of Paragon Engineered Timber, based in Neath Port Talbot visited our Glenrothes manufacturing site in December and viewed our latest investment in automation to improve the way we produce Gang-Nail plates. Ian commented on their amazing achievement since becoming an ITW fabricator “We opened for business six months ago and are delighted to be achieving our targets. We’ve got fantastic support from ITW Construction Products with their industry-leading software, training and service, all maximising our productivity”. SticX first SpaceJoist order ready for loading. 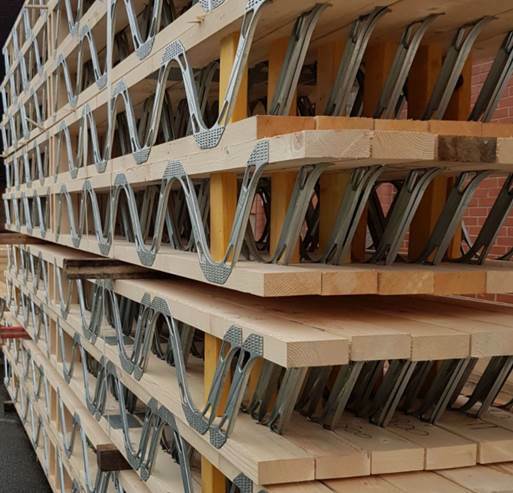 SticX Ltd with offices in Liverpool and the Wirral is a leading timber frame company designing and installing timber frames and other timber structures, including pre-insulated panels, floors, cassettes and roofs. They design and build frames from £10k to over £1m in value, working with a variety of clients covering a wide range of applications including private and social housing, multi storey apartments, student accommodation, schools, hotels and retirement homes. With demand for SpaceJoist ever-increasing, we are delighted to welcome Joseph Griggs & Co to our national network of appointed fabricators. Based in Gloucester their new pressed web machine is now producing SpaceJoist metal web joists. They proudly captured a picture of their first order on the lorry heading to site. 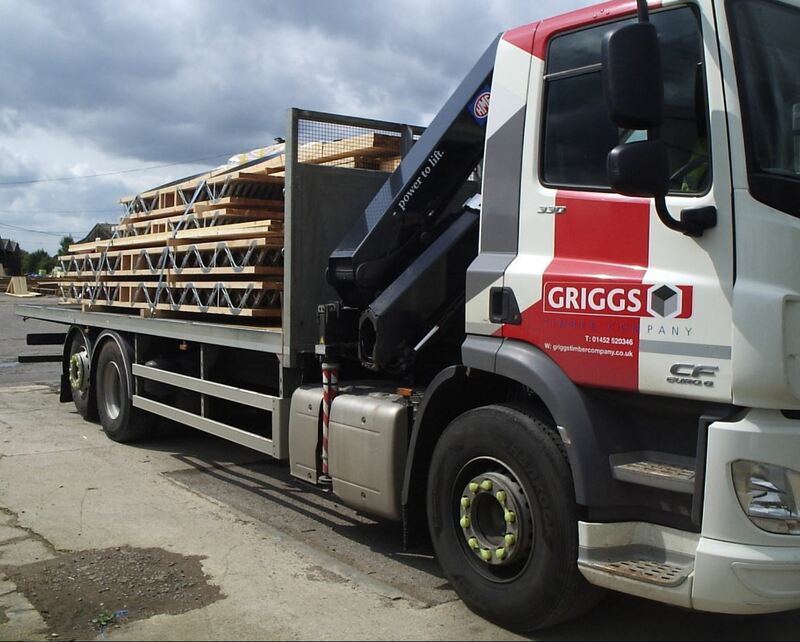 Griggs first SpaceJoist order heading to the site. We extend a warm welcome from the ITW Construction team to our new and valued fabricators! We’re delighted that ITWs renowned Toolmatic was the tool of choice for MBA to promote their successful combined framing and boarding machine at The Offsite Construction Show in London in November. Toolmatic tools are designed specifically for automation with only one air feed and one power line to attach. This simplifies attachment and eliminates the mess of wires required for modified hand tools. Toolmatic’s modular construction allows us to create a solution geared to the precise requirements of each production line, from a wide range of optional features and fastener systems. 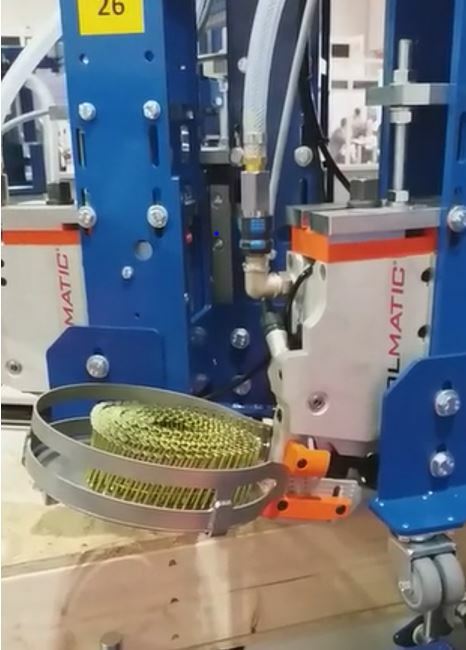 This maximises productivity, whilst eliminating the cost of unnecessary features. It is with great sadness that we announce that at the end of March 2019, Daryn Scally will leave ITW. 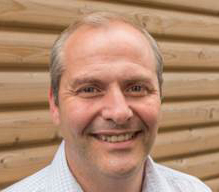 Since Daryn joined 10 years ago he has been a valuable and well-respected member of our team and a figure-head within the industry. We will miss Daryn’s professionalism and diligence but respect his decision for personal reasons not to continue the national travel his job entails. Daryn is proud to leave behind a very strong team as we look to build on all the hard work everyone has put into 2018. During his tenure we have gone from strength to strength with 2018’s results a continuing testament to successful team work. Daryn has helped to find his replacement and is already facilitating a smooth transition to Monika Thomas. 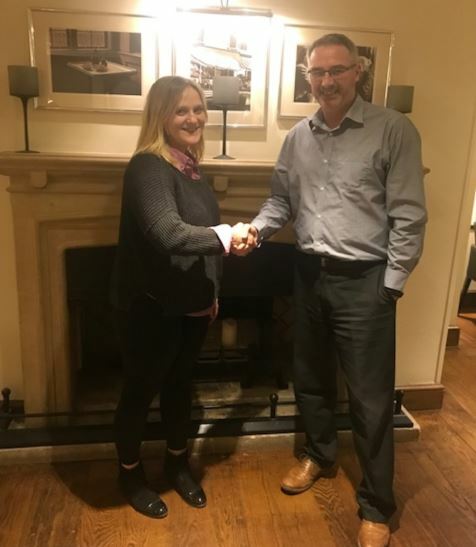 Monika joined ITW in 2013 as a Merchandising Consultant and has since proven successful in the roles of Sales Consultant for the Drywall and M&E teams, Distribution Manager for Crawley and latterly Key Account Manager for our Offsite Business Unit. On behalf of us all at ITW we wish Daryn good luck for the future and congratulate Monika on her new appointment. 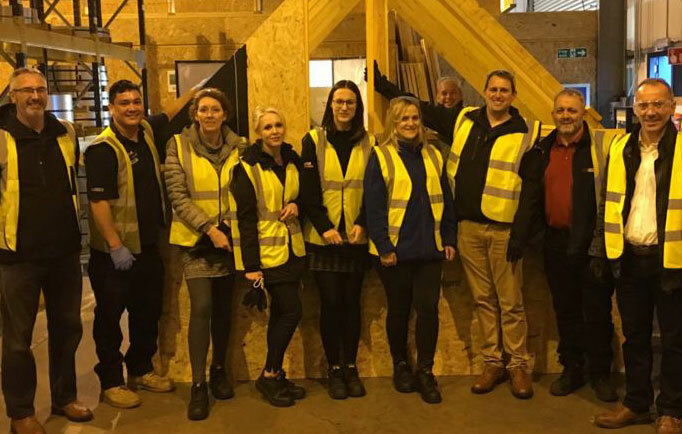 Training is a priority at ITW Construction Products and most recently we organised a “house build” to provide the team with hands-on experience building a floor, walls and roof. The day’s session began in a classroom environment with our technical team explaining the house structure, products to be used and where they could be used in general build applications, all linking to where these are found in our brochures. Over forty ITW products were used from Cullen connectors, Paslode fixings, Gang-Nail plate and SpaceJoist metal web, designed using ITW software. 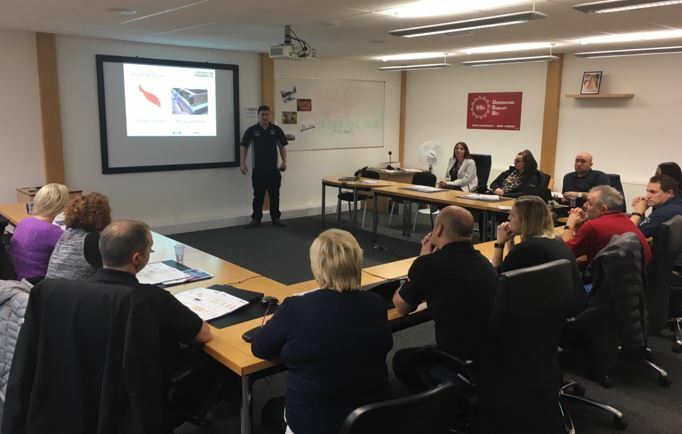 We were delighted that Alison Bean, Customer Service Adviser from Cullen distributor Fengate Fasteners and Lucia Harper, Business Development Manager from D J Evans joined this training session. Training is a continuous part of people development. You can be confident when dealing with ITW Construction Products that you are fully supported by a highly experienced team. We’ll be hosting further training sessions throughout 2019. If you or your team are interested in getting involved, please get in contact with your Key Account Manager. David Lo, Design Technician kicking-off training in the “classroom”. Some of the build team showing off their house build. (Alison Bean and Lucia Harper third and fourth from left respectively).